General Motors agreed to pay a $35 million fine to settle a federal probe into the 10-year delay of its ignition switch recall, federal safety regulators announced Friday. GM had already admitted that its employees knew of problems with the ignition switch as early as 2004. The flaw caused some cars to shut off while driving, disabling airbags, anti-lock brakes and power steering. It has been tied to at least 13 deaths. But GM (GM) did not start recalling the 2.6 million cars with the ignition problems until this February. The settlement also calls for GM to make internal changes that regulators say will help it do a better job of detecting safety problems with its cars. Since the recall problem became public, GM has created a position of vice president for global vehicle safety and hired 35 to 40 more safety investigators. "We have learned a great deal from this recall. 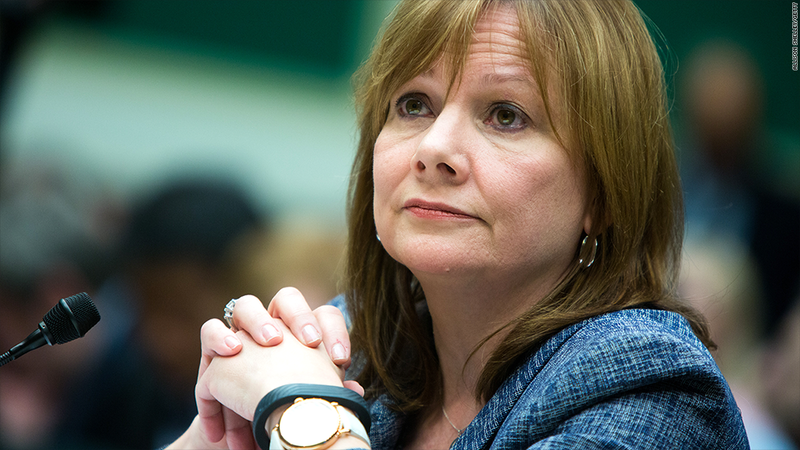 We will now focus on the goal of becoming an industry leader in safety," said GM CEO Mary Barra in a statement. "We will emerge from this situation a stronger company." The money from the fine announced Friday goes to the U.S. Treasury, not to compensate crash victims. The decade-long delay has prompted probes by the National Highway Traffic Safety Administration, as well as Congressional committees and the Justice Department. NHTSA itself has faced criticism over its failure to order the recall earlier. NHTSA Acting Administrator David Friedman was called before congressional committees probing the recalls. He testified GM did not give the agency the information it needed to decide to order a recall. The $35 million is the maximum amount that NHTSA can fine GM for a single violation. Earlier this year, Toyota Motor (TM) agreed to pay a $1.2 billion fine to settle criminal charges over its conduct during its massive unintended acceleration recall four years ago. But that settlement was with the Justice Department, not NHTSA. The safety regulator was able to impose fines of $48.8 million on the Japanese automaker, fining it for multiple violations. 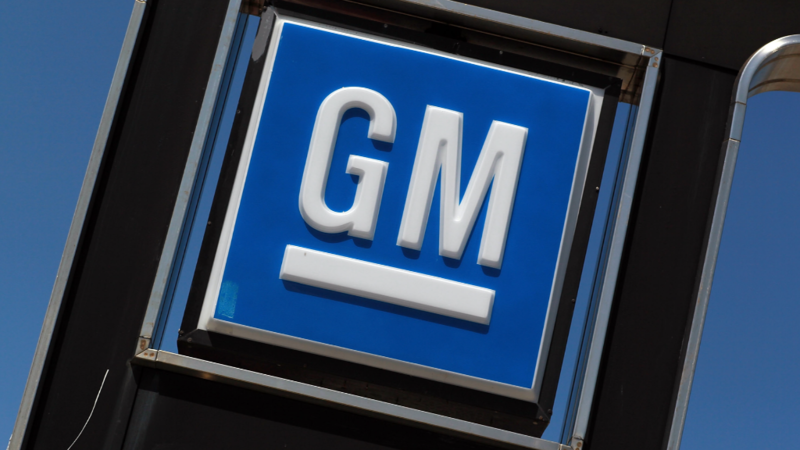 The $35 million fine represents less than 1% of GM's earnings over the last 12 months. At a press conference Friday, Transportation Secretary Anthony Foxx admitted that the size of the fine amounted to a "rounding error" for an automaker of GM's size. He said his department is asking Congress to raise the limit for a fine to $300 million. "We do think $300 million is an attention grabbing amount," he said. CEO Mary Barra has apologized repeatedly for the delays, and insisted they are a result of a culture at the old, pre-bankruptcy GM that put cost concerns ahead of the customer. She insists the problems would not happen today. NHTSA's Friedman said there are some signs that GM's culture has changed, but pointed ad that some of the delays took place as recently as December, 2013. He also said that the information about the ignition switch problem reached top executives at the company. When asked if Barra knew of the problem when she was a product development executive, before she became CEO in January, he said, "I don't have any records of that." Despite today's settlement, GM is not out of the woods. That is because the FBI is still investigating the auto giant and it could face additional fines, a senior law-enforcement official told CNN. So far this year GM has recalled nearly 13 million vehicles. The latest came Friday morning when it recalled another 8,560 cars for problems with the brakes. GM has already taken a $1.3 billion charge to deal with the cost of repairing the faulty ignition switches and other recalls it announced in the first quarter. That essentially wiped out the company's profits for the first three months of the year. On Thursday GM announced it was recalling another 3 million vehicles worldwide, and that it would take a $200 million charge for those repairs. But the charges that GM is taking don't include any fines or penalties it will have to pay federal agencies, or payments it might have to make to crash victims and their families. The company has hired attorney Kenneth Feinberg to help it determine what to pay to the victims. Marry Ruddy's daughter, Kelly, 21, died in January 2010 when the Chevrolet Cobalt she was driving crashed. Ruddy has long believed the vehicle was defective. She feels NHTSA's actions come too late. "NHTSA definitely dropped the ball. They could have and should have done more, "she says. As for GM, "I don't think they deserve the privilege of the trust of the American people...It's beyond deception. It's sinister." The automaker also faces lawsuits from car owners seeking to collect damages related to the reduced value of their vehicles. But GM is arguing that its 2009 bankruptcy reorganization protects it from those lawsuits. -- CNN's Poppy Harlow and Shimon Prokupecz contributed to this report.